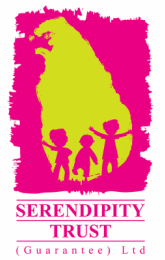 What is the Fairway Galle Literary Festival without the opportunity for children to also take part in their own mini Lit Fest? 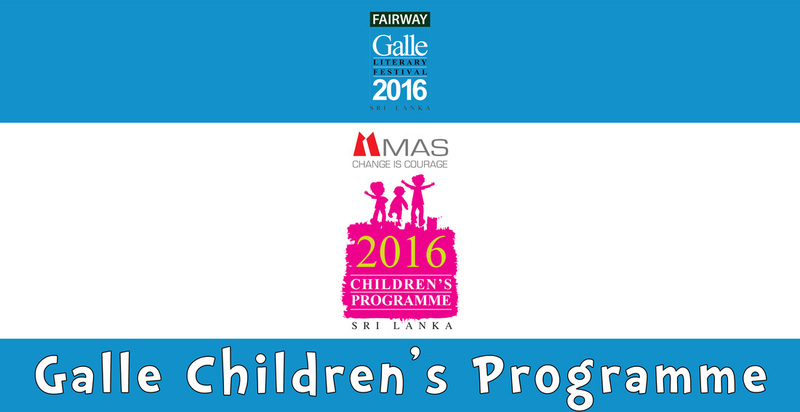 We are proud to have presented the MAS Galle Children’s Programme, a one and a half day ticketed programme for children aged 5-14 years. Click here to see the photos from the MAS Galle Children's Programme! Saturday offered a whole-day programme held at the Thomas Gall School (TGS), which included lunch and tea. Don’t sit and wait for the programme to start! Giggle and squeal in this fun warm up! An infectiously fun introduction to the world of looping! Join Amazon and Fraser Hunt as they travel the world saving endangered animals. Create your own puppets and take them along on a journey. Have your imaginations awakened and discover the delight of dynamic storytelling. A mix of fantasy and real life, this playful book will be brought to life. Don’t be a garbage generator! Learn about badly managed waste and engage in a fun upcycling activity. Don’t sit and wait for the programme to start! Giggle and squeal in this fun warm up session! Bring your imaginations and prepare to laugh so hard with Andy that your brain squirts out of your nose! Create stories addressing fun ways to cope with things you are afraid of. Create your very own super-powered heroes and dastardly villains! Discover the trolls with two-heads, singing tomtegubbs, sleepy slemps and shadow witches that roam Shadow Forest. Discover Indigo, the world's oldest dye that has been used from the time of the Egyptian pharaohs. Create your own patterns and dye your own indigo fabric! Come learn a few tricks of the trade and slam with one of the best. Create your very own crime-solving sleuths and mysterious suspects! Sunday’s programme was a half-day event, held at the Thomas Gall School (364/A Morris Road, Galle). Discover how to make your stories shine. Awaken your imaginations and discover storytelling filled with chitrakathas, kavads and puppetry. Eat pizza while enjoying an oceanic conservation film screening by muralist & documentary film maker ‘The Painting Pirate’. What makes a hero special? Is it their superpowers? Meet the very hairy author of the hilarious and crazy 'Mr Gum' books. For one hour he's all yours! Discover traditional mask making and painting techniques with the artist/craftsman and founder of Sithuvili Gallery. Each child will get to keep their unique wooden mask. Discover how Anthony creates dark and strange worlds filled with humour and horror. The MAS Galle Children’s Festival! Following Sunday morning’s MAS Galle Children’s Programme, all children and their families were invited to take part in the free MAS Galle Children’s Festival held throughout the afternoon at Dharmapala Children’s Park (opposite Galle Railway Station). Big thanks to Thomas Galle School for generously supporting the MAS Galle Children's Programme by hosting this programme.